The professionals at ShoppersChoice.com have hand-picked their favorite gifts for friends, family, co-workers, or themselves during this holiday season! We hope to give you ideas and inspiration to help make your shopping experience a little easier. Learn from Shane's recommendations to find the best holiday gifts for loved ones this year! If you have any questions, please contact us at 877-743-2269. As a model of the typical guy, I favor function over flash and fluff; however, no one said that I can't have both. 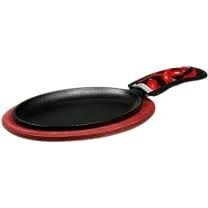 These fajita plates offer an excellent way to serve fajitas and steaks hot off the grill. Let's face it; we all love the smell and sizzle of the fajitas at the restaurant, so I absolutely love the fact that I can deliver this at home, from grill to table, with style! Here is a great way to bring the family together! I love it when the winter weather rolls in because it is an easy opportunity to shine as a father and husband. 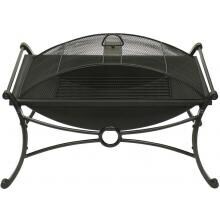 This fire pit helps me do that, as it is a natural draw for the whole family. And to step it up a notch, my son and I will often roast marshmallows and hot dogs for a winter treat. This really is an investment for your whole family -- one that I would recommend to anyone who enjoys the best company a guy could ask for. It even works great for tailgating! I am not much of a "foodie" who has an assortment of cookware and/or flatware for entertaining. However, I am a guy that thoroughly believes in having the right tool for the job. I purchased this 3-piece cutlery set for my lovely wife (per her request) only to find that I absolutely love having these 3 essentials in my kitchen! 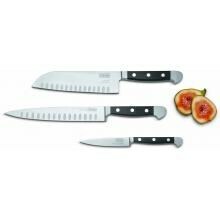 I know my wife appreciates the quality of these pieces because they really do make any cutting or chopping in the kitchen more of a pleasure than a chore. This set is well worth the investment! This is an awesome addition to the kitchen. This dehydrator adds a ton of inexpensive and healthy options to your family's menu. I purchased this as a gift for my uncle -- an avid hunter who loves to make venison jerky. He adds a few spices and dehydrates it, and it is amazingly delicious (and healthy, too). 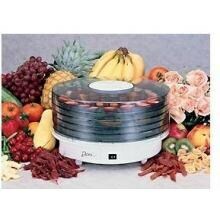 Another healthy use for this dehydrator comes from my aunt. She loves to dehydrate fruits for her desserts and snacks and really enjoys providing the family with treats that are both healthy and delicious! I just purchased this coffee maker 3 weeks ago for my office as an upgrade from what we already had. (Trust me; we needed it.) It is not unusual for me to drink 4-5 cups of coffee throughout the day, so I assumed it would be a good buy. Boy, was I pleasantly surprised at the quality of this coffee maker! The insulated carafe is awesome; it keeps my coffee hot for hours even when the machine is off. With its great quality and quietness, this machine is a keeper. 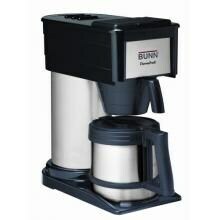 I love this coffee maker so much I want to get one for home!